Where am I going to wear these? Sleeves for the Must-Have Cardigan continue. I’m now 70 rows in and still feels like I’m almost through, but there is further to go. I do have the cable chart memorized; I only need to check that I’m on a row 3 or 7 for any special treatment. And knitting both at the same time helps. Seems like it’s taking longer now, but it will save me from the in-between down time if I had done one-at-a-time. And, is helping make sure that I’m increasing the same on both. I’m participating in the Month of Letters challenge. I’ve been known to send often through the post, but it has tapered off in recent years. And last year I even cut back on birthday cards. This time, I find myself writing the things that I usually say when the recipient is not around. Ideas that circulate over and over but have never been expressed. So, if you get a card or letter this month, it may be closer to a confession than a correspondence. 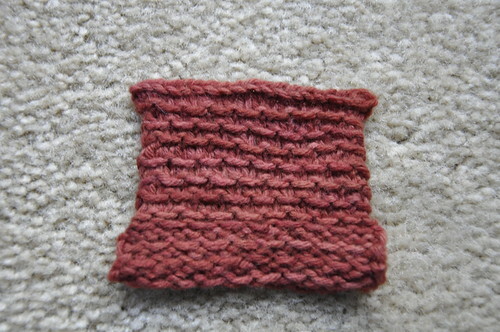 It seems like the whole Internet is knitting Madelinetosh’s Honey Cowl. 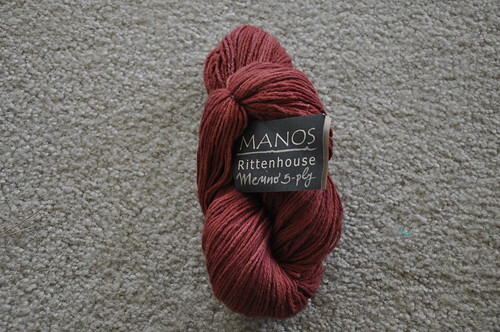 I picked up some kettle-dyed wool to follow along. Now, I just have to knit it before winter’s end.